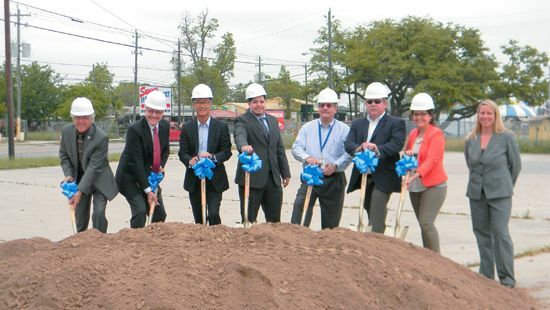 Airline Improvement District hosted a groundbreaking ceremony for sidewalks and roadway projects on Airline Drive and other district’s streets last Tuesday, April 22. Everything started in 2008 when the District provided the 50 % matching grant for a pedestrian study which was completed on March of 2009 and its purpose was to evaluate the existing conditions and major corridors in the district, provide recommendations that will improve the safety of pedestrians and bicyclists in this busy commercial area to normalize the flow of traffic. Funds for the design and construction of these projects come from the Galveston Area Council Transportation program and other portions from the Airline District, which total $3.5 million dollars for these projects, said Koerth. Projects started a few days before the groundbreaking ceremony and have a year to be completed, but the district would like to have it completed within 4-5 months. This job has been the combination of multiple agencies such as Texas Department of Transportation, Houston-Galveston Area Council, Harris County, TSE Engineering, Airline Improvement District Board and state and federal officials. Last Thursday, the Harris County Sheriff’s Office (HCSO) held its annual free car safety clinic and car seat check ups to aid motorists with vehicles experiencing trouble on Houston highways. The event took place at Northline Commons, located at 4400 North Freeway, Houston, TX, 77022. AAA Texas Approved Auto Repair shop technicians were on hand to conduct a free 38-point visual maintenance inspections for the public at the drive-thru event. The HCSO deputies and Safe Kids Greater Houston were also on site to offer free car seat checks. Making sure a child is in the proper restraint system, car seat or booster seat can help provide protection in the event of a car crash. HCSO Deputy Hall explained if an item on the back seat of your car hits a child during an accident, it can caused severe damaged. “Just multiply the speed you are going times 3 and that is the velocity the item could hit the child.” He recommends to place all loose items in the trunk of the car. “By state law, a child must use a car seat if he/she is 8 years of age and who are shorther than 4 feet 9 inches,” said HCSO Sergeant Hall. People who attended the event received a goody bag, educational information about vehicle repairs and maintenance and learned about car seat safety. ALDINE – Cody Stephens “Go Big or Go Home” Memorial Foundation will provide electrocardiograms (ECGs) to Aldine high school students who participate in school sports and other extracurricular activities. 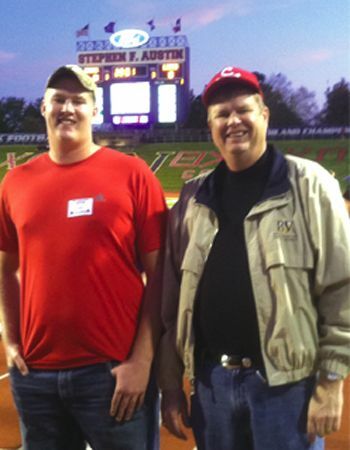 After his son’s death, Scott Stephens, Cody’s father founded “Go Big or Go Home” foundation to honor his son. Last year 2,216 EKG screenings were made to Houston area students. From the 2,216 completed ECGs, approximately 4.5% of the students required additional follow up as directed by the cardiologists. This year in honor of Rep. Sylvester Turner carrying the bill known as Cody’s law (HB 1319) in 2013 and again in 2015 the Cody Stephens “Go Big or Go Home” Memorial foundation will screen Aldine ISD’s 5 high schools at the Campbell Center with free ECG’s. This event will take place all afternoon on May 6, 2014. HOUSTON – Over a hundred homeowners and interested citizens packed the state hearing room last Thursday morning, as a state mandated SOAH hearing took place to determine facts and rule on disposition of the complaints against Suburgan Utility Company, their service, and their recent surcharge added to utility bills. 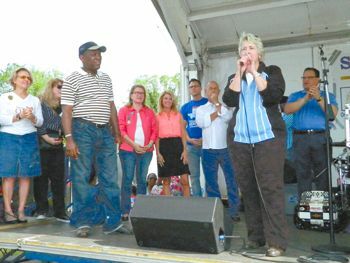 The State Office of Administrative Hearings was supposed to take place starting at 10 a.m. in their offices on the North Loop, and the East Aldine District had provided a bus to take the public there due to limited parking. However, so many people were present, that for fire safety reasons the meeting had to be moved to larger quarters, and eventually it reconvened at the Leonel Castillo Community Center, thanks to the help of Senator Sylvia Garcia. The ratepayers present represented four distinct neighborhoods served by Suburban Utility Company, including Castlewood in East Aldine, and Cypress Bend, Reservoir Acres, and Beaumont Place. When the hearing got underway, presentations were made by the Texas state office of public utilities, the East Aldine attorney Jim Boyle, including about six witnesses from Castlewood, and the Suburban Utility Company attorneys. Castlewood residents repeated the stories of poor water quality, poor service, interuption of water entirely, and the $60 per month surcharge as untenable. As a result of the hearing information, TCEQ filed a motion to eliminate the $60 surcharge, and Suburban Utility Company agreed to withdraw the surcharge until a hearing in 2015. Yesterday more than 100 ratepayers from Castlewood showed up at the Preliminary Hearing on Suburban Utility Company’s request to increase rates, which started out at the offices of State Office of Administrative Hearings on North Loop West, near US 290. Over 100 customers from three other subdivisions of Suburban also showed up at the hearing. Judge Penny Wilkov, an administrative law judge from Austin, was in charge of the hearing. The hearing room was too small for the number of customers who showed up. 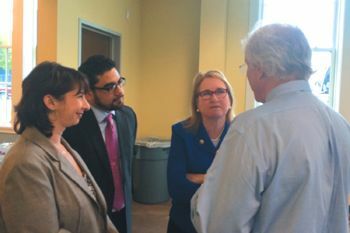 Thanks to the efforts of Senator Sylvia Garcia the hearing was moved to the Leonel Castillo Community Center. The Executive Director for the Texas Commission on Environmental Quality filed a motion to eliminate the $60.00 a month surcharge going forward. Arguments to eliminate the surcharge were extensive. Steven Adame and Pat York of Castlewood spoke to the impact the surcharge was having on customers with fixed incomes. Other customers spoke to the poor quality water they have been receiving for many years. Senator Garcia spoke to the need to eliminate the surcharge because Suburban should be getting the money for necessary improvements from the Texas Water Development Board, not by surcharging ratepayers. Representative Armando Walle said that a surcharge should not be paid to Suburban because the utility is not to be trusted to spend the surcharge money on improvements since Suburban failed to comply with a settlement it entered into in 2009 to spend money on improvements. After all the comments by customers and arguments by lawyers for various parties were heard, Suburban agreed to withdraw the surcharge on all water consumption after March 1, 2014. There will be no surcharge before a final decision is made in the case. Steven Adame, Cipriano Ramon, Connie Esparza, and Pat York of Castlewood were admitted as parties. A schedule for the case was established with a trial set in Austin on January 20-23, 2015. The parties now will start on the discovery phase of the case. This involves asking for documents from Suburban, including documents related to the effort by Suburban to get loans as well as documents related to the reasonableness of the utility’s expenses.